Brain injury is a complex diagnosis that can have a significant impact on physical function, cognition, and quality of life. 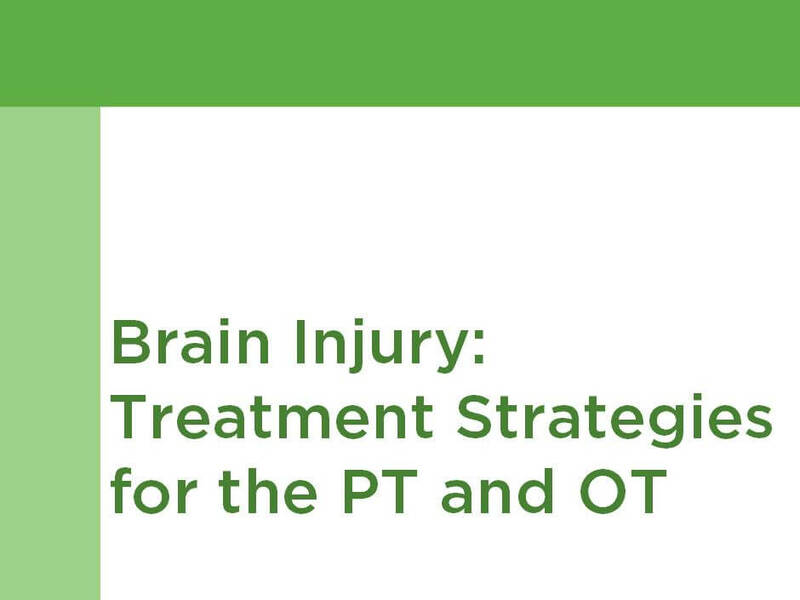 This course presents the role of physical and occupational therapy in the treatment of brain injury. Clinical foundations and rehabilitation principles will be reviewed. The course will then focus on evaluation methods and treatment strategies for physical and occupational therapists. The goal of this course is to help enable therapists to achieve better outcomes for patients with brain injuries through improved assessment and intervention techniques. Describe at least four physical, cognitive, and behavioral impairments associated with a brain injury. Articulate at least two evidence-based outcome measures to evaluate and track progress for patients with brain injuries. Identify at least five clinical considerations based on the Rancho Levels of Cognitive Function. Explain at least five treatment strategies based on impairments post brain injury. Define your role on the brain injury rehabilitation team and recognize the importance of collaboration and interdisciplinary care for people living with a brain injury. Section 1: Introduction A. About This Course B. Learning Objectives Section 2: Clinical Foundations A. About Brain Injury B. Interdisciplinary Team C. Evaluation D. Functional Outcome Measures E. Rancho Los Amigos Levels of Cognitive Function F. Applying the Rancho Level G. Review H. Summary Section 3: Physical Therapy Evaluation & Treatment A. Lower Extremity Function B. Muscle Tone C. Sensation D. Bed Mobility E. Transfers F. Sitting Balance G. Standing Balance H. Ambulation I. Initial Seating Assessment J. Wheelchair Mobility K. Review L. Summary Section 4: Occupational Therapy Evaluation & Treatment A. Communication & Cognition B. Vision C. Perception D. Upper Extremity Function E. Activities of Daily Living (ADLs) F. Instrumental Activities of Daily Living (IADLs) G. Other Treatment Strategies H. Review I. Summary Section 5: Conclusion A. Summary B. Course Contributor C. Resources D. References E. Congratulations! The target audience for this course is: entry level Occupational Therapists; intermediate level Physical Therapists; in the following settings: Rehabilitation Settings.